Please note that all of my mods are now available in one package. The division between the different parts in the description is historic. The screenshots featured on this page were taken using a version of the mod for Minecraft 1.6.4 and there have been some visual changes since. I'll try to get some new screenshots up soon. Engineer's Toolbox is a tech mod with a focus on customization. It's based around blocks called sockets which can have modules installed on their sides to serve various functions. Different modules can do everything from simple redstone logic, to generating energy. There are basic redstone input and output modules for simply passing a redstone signal through a socket on one of it's three basic redstone channels, or controlling a machine. There are also logic gate modules wich perform logical functions using different redstone channels including NOT, OR, AND, NAND, NOR, XOR, and XNOR. Sockets also have 3 internal redstone latches which have their own channels (latch channels can also be used as input for logical functions). There are modules for setting, resetting and toggling the latches. There are also timers for producing repeated redstone pulses, and modules that act like buttons, pressure plates, and even block update sensors. Each socket has 3 internal inventories and 3 internal tanks. There are various modules for inputting, and outputting both from adjacent inventories, tanks, pipes, machines, etc. as well as more advanced modules for extracting from inventories and tanks that don't auto output, as well as modules for directly viewing and interacting with the contents of an internal tank or inventory. These modules are useful not only for passing resources through a socket, but also supplying input for the various processing machine modules. Engineer's Toolbox uses the redstone flux energy network to power the various machines you can install on sockets, and output power from its various generators. There are modules for inputting and outputting energy as well as modules for increasing the energy storage capacity of a socket from 5000 RF to millions. There are also generator modules which range from basic solar panels, to hydroelectric turbines, to a generator that draws energy from stampeding cows (and other entities). If you install the official addon, GasCraft, you'll get access to even more methods of generating energy with sockets. Not only will you be able to craft a furnace module, you'll also be able to construct machines that when combined can double and even more than triple your metal output. These include a massive limestone kiln multi-block structure that takes some creativity to automate. You can process the standard ores that you find in many mods as well as a few more unique ones such as Tinkerers' Construct's nether ores. Engineer's Toolbox includes an automated mining system based on the ancient Roman technique, hushing. Large amounts of water are sprayed at the ground to expose the valuable ores underneath. Of course, the "husher" module you can install on a socket is a little more advanced. When fed with water, or a new fluid, slickwater (lets the husher dig deeper) the husher can mine large areas of land with very little energy input. Slickwater can even be pumped out of the hole when you're done and re-used to dig the next one. There are also block breakers (and placers) which when combined with certain other mods, can be used to create large tunnel bore machines to mine even faster. For details on how to use the mod including detailed instructions on the modules, and how to use sockets themselves, please visit the wiki. The above is only overview and is far from an exhaustive list of what you can do with the mod. GasCraft - Drill Baby Drill! 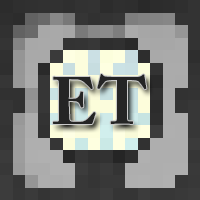 GasCraft is an official addon for Engineer's Toolbox. GasCraft adds several gases to the game which while all functioning like normal Forge fluids, behave like gases when in block form. Different gases have different uses. Many gases are used to produce energy, but some are used as weapons, and even steel production. Being an addon for Engineer's Toolbox, GasCraft naturally adds several socket modules for producing energy from different gases, interacting with gas blocks in the world, and more. Different gases are obtained differently. Some gases, such as natural gas, can be acquired using hydraulic fracturing. Other gases like deadly neurotoxin must be produced by processing other gases. Hydrogen can be produced by processing Algae in a photobioreactor, and smoke can be obtained as a by-product of energy production. As early as Minecraft 1.2.5, GasCraft has been endangering players with underground gas pockets, and those are still included as a configurable option. Now there are even more dangerous pockets of plasma you can find in the Nether. Of course, you can still craft a gas mask for protection in an emergency, however, there's a very good chance it isn't going to help you much when it comes to plasma. Similarly to Engineer's Toolbox, more information can be found on the wiki. Emasher Resource is required by Engineer's Toolbox and Defense. It provides the ores that are shared between my mods, as well as some shared code. Additionally, Emasher Resource adds the algae used to produce hydrogen, and hemp, which can be grown and used to make armour, string, paper, and more. Defense is a small mod that adds various types of fences including chain-link, barbed wire, and razor wire as well as other defensive blocks designed to protect your base, such as sand bags and deflector shields. I suppose I probably should have started with that last one. -All mods require the latest version of Minecraft Forge for the version of Minecraft they are for. -It is highly recommended that you backup your saves before installing any new mods. Use my mods at your own risk. Bug reports are very helpful, but only if they're regarding actual bugs, and include all the information I need to actually fix them. * "Dupe" bugs and other exploits should be reported to me via some sort of private message. @emasher Any plans for this mod, or is it dead? Yes and no, the source code and api is open for anyone to continue the mod so if it does die; anyone who wants to bring it back can. Hey um for some reason this mod (and mekanism) really lags my minecraft even on the menu thing(when minecraft is done loading) is there anything I or you could do? To make some sense, how many mods you have installed? if you have 100's (Like me) It may slow down your toaster (Computer), I cant install more than 36 mods without Optifine, and i cant install over 78 without Fastcraft plus optifine. Love the mod! Will it be ported to 1.8.9? Can you make the dusts from this mod smeltable in the tinkers construct smeltery? AWWW YISS! Emasher is back! Yipi ki yay, motherf...! How does one make steel, and does bluestone have a use yet? Steel is made by allowing nether plasma (in block form) to come into contact with iron blocks. Bluestone is used to kill algae. It's had this use since it was first added. Any chance this mod will advance from beta to full release for 1.7.10 in the coming weeks, or is it moving to 1.8.9/1.9? The wiki page that is linked here and in other places, has an expired subscription. While the videos are helpful, specific info is difficult to glean because you have to watch the entire video. I'm planning on re-writing the information that was on the wiki and putting it somewhere else. I do have back-ups of the old wiki, but it was missing a lot of information and a lot of it was out of date with more recent versions. First, your mod is probably one of my favorite and most used mods (particularly in tekkit legends). Thanks for all the pretty much thankless time and energy I know went into this. Second, Is there anything any of us can do to help in this process of getting a wiki back up?